1) Get inspired for Thanksgiving with 3 Ways to Pair Cider With Your Fall Flavored Meal from Eve’s Cidery, How to choose your holiday cider from Finger Lakes Cider House, 5 Ciders That Capture Holiday Flavors and the 2017 Holiday Buying Guide from Cidercraft, and Pick Cider for Thanksgiving from the US Association of Cider Makers. 4) Learn more about Austin Eastciders’ latest addition in Beloved Austin cidery opens bustling new tasting room. And Stem Ciders to Open Culinary Venture called Acreage in its new production facility in Lafayette, Colorado. 5) Cider Chat interviews Robby Honda of Tanuki Cider in the Santa Cruz Mountains. And Cider Culture interviews Mark Deno of Atlanta Hard Cider Co.
6) Brännland Cider reflects on “one bad apple spoils the bunch” in On the importance of bad apples. 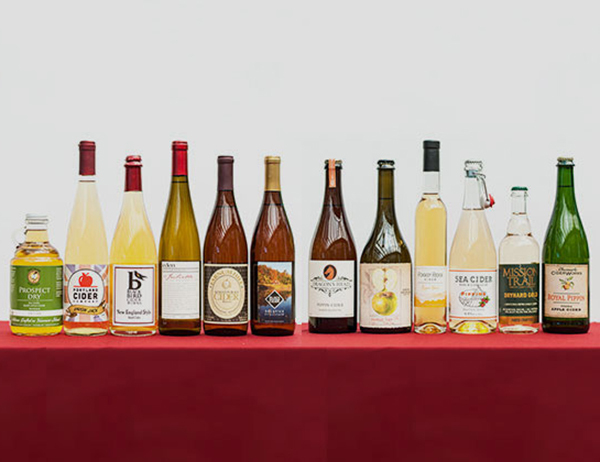 8) 17 cidermakers have been named as 2018 Good Food Awards Finalists. Winners will be announced at a ceremony in San Francisco on January 19th. 9) Cider Riot! in Portland, Oregon hosts the Pressing Matters Proper Cider and Real Ale Festival on Saturday. The second annual Sagardo Forum and the inaugural Concurso de Sidra Internacional will be held next week near San Sebastián. And looking ahead, the inaugural Cidrexpo is scheduled for July 5-7 in Caen, Normandy. 10) Along Came a Cider reviews Wild Hare Hopscotch. Cider Says shares notes from Woodinville Cider Tasting 4 at Locust Cider and reviews Apple Outlaw Thompson Creek Creekside and E.Z. Orchards Pomme. Cidercraft reviews Slyboro Night Pasture. Sipology reviews Blake’s Grizzly Pear. CiderScene defines Cider-Related Terminology for Beginners and reviews the DoubleCider November Subscription Box. Hard Cider Reviews recaps The Old Adventures of the Newtown Pippin and 6 Days & Nearly 60 Ciders Sampled at Cider Week NYC. The Milled Apple reviews Embark Strawberry Rhubarb and Austin Eastciders Blood Orange. Cider Society reviews Baladin Sidro 2011, Blake’s Flannel Mouth, and New Forest Traditional Farmhouse. The Cider Drinker recaps the History of Dunkertons Cider. Cider Explorer reviews Tempted Dry, De Vergeten Appel ‘T Schoapke 2016, and Cidre 99; explores Where to drink/buy cider in Toronto? ; and shares Tasting notes for ciders tried in Toronto. And Real Cider Reviews tries Flying Brick MC Cider 2016.